"The most beautiful girl of the world", as the authoritative British edition "Women Daily Magazine" christened the Russian angel, was born on December 25, 2005 in Moscow. Mistakenly on many official pages of small model the birthplace specified France. Actually Kristina was born in the capital of Russia. Before the family really some time lived in the French town of Metz in the north of Lorraine where the girl's father, the ex-forward of Moscow "Locomotive" and the player of Russian football team Ruslan Pimenov, played for local club. Before the childbirth Glykeria went to Moscow and here gave birth to the second daughter. The oldest daughter Natasha who performed 10 years by then remained with the father in France. The ex-model with the baby remained in the homeland of two more months, and at the beginning of spring returned to the husband to Metz. 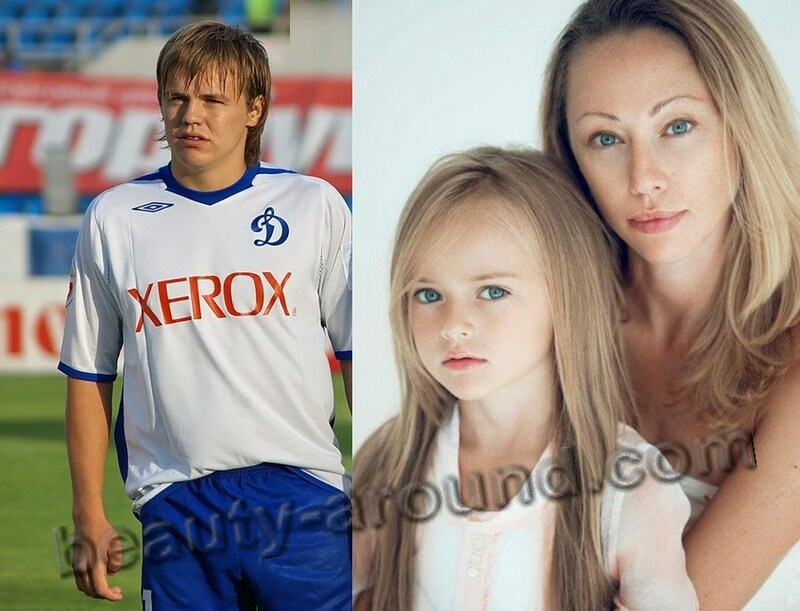 The first year of life spent in the original of Kristina Lorraine, and after completion of the contract Ruslan Pimenov with the football club, "the Mets' star family returned to Moscow. 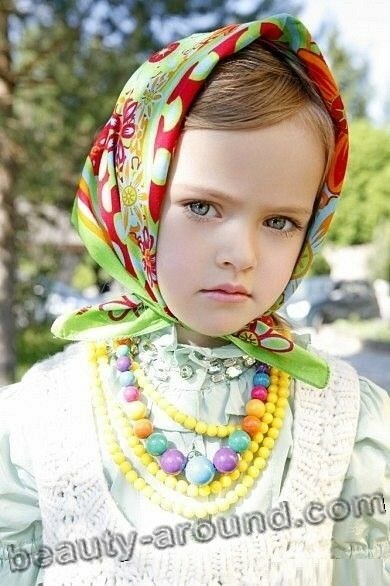 In autumn 2009, when Kristina Pimenova was only 3 years old, her mother arranged for the girl a professional photo session in a Moscow studio. 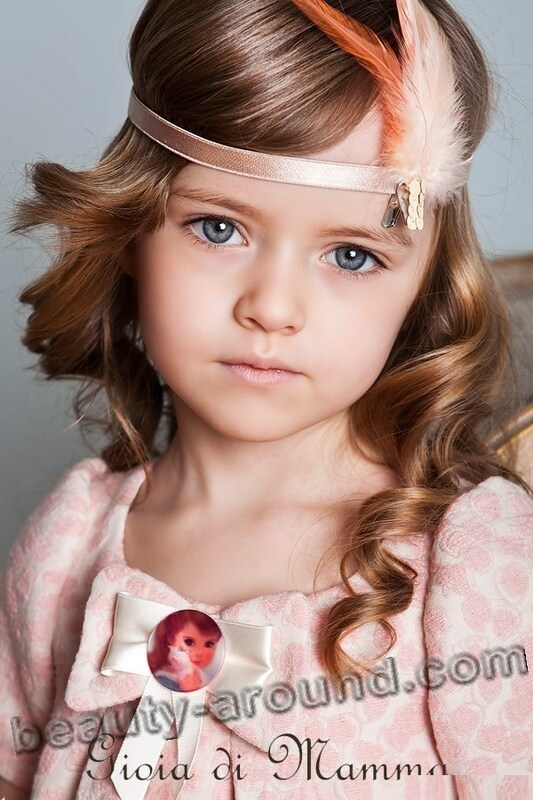 Photo of the baby were so successful that Glikeriya ventured to send them to a modeling agency «President Kids», one of the most prestigious in Russia. Angelic appearance, magnificent golden hair, big blue eyes in which it is possible to drown didn't leave indifferent experts of the world fashion-industry, and already in few weeks Kristina was registered in base of pupils of School of Model Art President Kids. In 6 months the girl was taught fashion show bases (correctly to keep on a podium, to a manekenny step, skills of work in group, scenic giving of an image in the conditions of display), fundamentals of choreography, acting skills, skills of behavior on a casting and in front of the camera. Kristina Pimenova took examination not before severe teachers, and on display of the new f/w 2010-11 collection of the known Russian Gulliver brand. After grandiose success in the homeland, Kristina Pimenova was invited in the popular Italian model agency B-Talent Scout. Selection among candidates was quite serious, but Kristina with honor passed all levels of "model hell". After that before the small "Russian girl with bottomless eyes" the doors to the world of fashion and chic were widely opened. For the 5-year career in quality of model Kristina achieved the stunning success and she, quite deservedly, awarded an unofficial title of "the children's top model". At so early age the beauty already managed to participate in fashion shows of many world brands. Similar success in nine years is already "too much". Organizers of fashionable displays who happened to cooperate with young model, note her ability to own the body. On the stage Kristina doesn't differ from the adult competitors: the assured manekenny step, on the person always the pleasant smile, isn't present any superfluous movement. Thanks to accurate features, younger Pimenova is called by the live embodiment of a legendary doll of the heir Tutti. Now Kristina Pimenova already the schoolgirl therefore takes part in a fashion show only twice a year when in Italy there pass weeks of children's fashion and represent premier collections of new seasons. Not the smaller delight causes a cooperation with Kristina and in the famous photographers. The portfolio of "the most beautiful girl in the world" is filled with pictures of geniuses of the photo. Pictures of young model decorated villages about 20 gleaners, among them there is Vogue and Collezioni Bambini. Already long time Kristina is a person of the known world Ferrero brand, she is that girl spark from the advertising Kinder Milk Slice. From 4-year age Kristina is visited school of rhythmic gymnastics. She is trained many years by Olga Kapranova who 10 times listened to the anthem of Russia on pedestals of the world championships on rhythmic gymnastics. Pimenova should be engaged for 4 hours a day with one day off a week. But such persistent trainings already yielded the fruits: at national competitions among Kristina's peers she was succeeded to win "gold". The trainer treats forced absence of the young sportswoman with understanding therefore "the Russian angel" isn't going to throw gymnastics. comprehensive Moscow school. Parents of a star didn't even consider option of a gymnasium or the closed school as the firm sports schedule and fixed model "business trips" don't allow devoting to study much time. "The main thing that elementary school was near the house" - Pimenova's mother was recognized. Also, parents seldom agree to participation in various shows and even to an interview. They consider that Kristina – still the small child and "once again you shouldn't focus attention on her appearance". Because of the dense fashion-schedule, Kristina already managed to go round the half of world. As "principle place of employment" of Kristina Pimenova is the model agency B-Talent Scout which is based in Milan, the girl learned to talk freely in Italian. In the near future are also learning English, and the language model plans learning perfectly. In the next plans also the model plans to study English, and this language in perfection. Kristina's defeat on a casting for Renesmi's role in the sensational saga "Twilight became a push to such desire, unusual to the 9-year-old child. Dawn". Then her bad English became the failure reason, and Mackenzie Foy's American got a role of the daughter of the most charming vampire. some "adults frank" job specifications of the girl. But most of the fans simply admire her angelic face and fine eyes, and wish the idol success and regular children's happiness.